Juniel (주니엘) is a singer-songwriter who debuted in Japan on November 2, 2011. She made her Korean debut on June 7 2012. For Japanese promotions she is under Warner Music Japan while for her Korean promotions she used to be under FNC Entertainment. On February 22, 2016, she switched to C9 Entertainment. – On July 6, 2016, she changed her legal name from Choi Joon Hee to Choi Suh Ah. – She is the first female solo singer under FNC Entertainment. – When she was in elementary school, she started to take dance classes, since she wanted to be like BoA. – Due to the fact that she didn’t have a particular talent for dance, she stopped her dancing classes. – In the third-year of junior high school, she started taking guitar lessons. – She became a fan of Ringo Sheena and Avril Lavigne and started composing songs. – Juniel first started training at Good Entertainment, but the company went inactive by 2009. – Juniel went to auditions for many companies such as SM, JYP, etc but the result wasn’t good. – In the 2nd year junior high she auditioned at FNC Entertainment, and became a trainee the same day as CN Blue Jung Yonghwa. – Since in Korea dance music was more popular and there weren’t many singers who were singing with a musical instrument, she decided to go to Japan in June 2010, in order to study music. – She had her guitar lessons in FNC Academy together with Choi Jonghun (FT Island) & Jonghyun (CNBLUE). – She practiced guitar very hard even though her fingers got swollen, up to a point that she couldn’t move her fingers. – While studying in Japan, she won the Japanese audition program ‘Niji Iro Supernova’ beating many other singers and songwriters. – She appeared on many live events in Tokyo, and she had many street live performances. 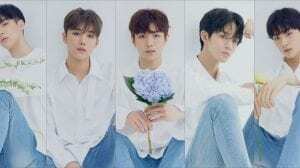 – After releasing two mini-albums under an indie label (Al Entertainment – agency that cooperated with the FNC Music Entertainment), she switched to Warner Music Japan. – She made her major Japanese debut with the single “Forever” in November 2, 2011, under Warner Music Japan. – She wrote her first song, ‘Boy’, when she was sixteen (this song was included in her first Japanese mini album). – Juniel was the opening-star for Oh Wonbin’s Japan tour & FT Island’s Zeep Tokyo Tour 2011. – On June 7, 2012, she released the title track ‘Stupid’ (Featuring CN Blue‘s Jung Yonghwa) for her first mini album in Korea, ‘My First June’. – Juniel’s song ‘Illa Illa’ was used as Yoon-Meahri song theme in A Gentleman’s Dignity drama. – On January 20, 2016, FNC Entertainment announced that Juniel’s contact expired and she would not be renewing her contract. – On February 22, 2016, it was announced she switched to C9 Entertainment. 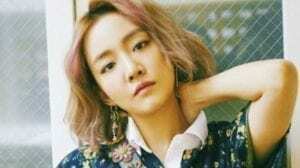 – She released her song “Pisces” under C9 Entertainment in 2016. – She did a collaboration with these artist: CN Blue‘s Yonghwa with “Fool” in 2012. (Yonghwa personally composed this song just for Juniel) CN Blue‘s Jonghyun with “Love Falls” in 2013 (They both were called Romantic J), Phantom‘s Hanhae with “Emotion is important” in 2013, Boyfriend‘s Niel with “Spring love” in 2015 and Jo Yung with “What planet are you from” in 2016. – Her stage name Juniel comes from combining her real name (Junie [Junhee] and “L” for ‘love’). – She speaks fluently Japanese and Korean. – Juniel’s favorite color is yellow. – Her favorite flower is Sakura. 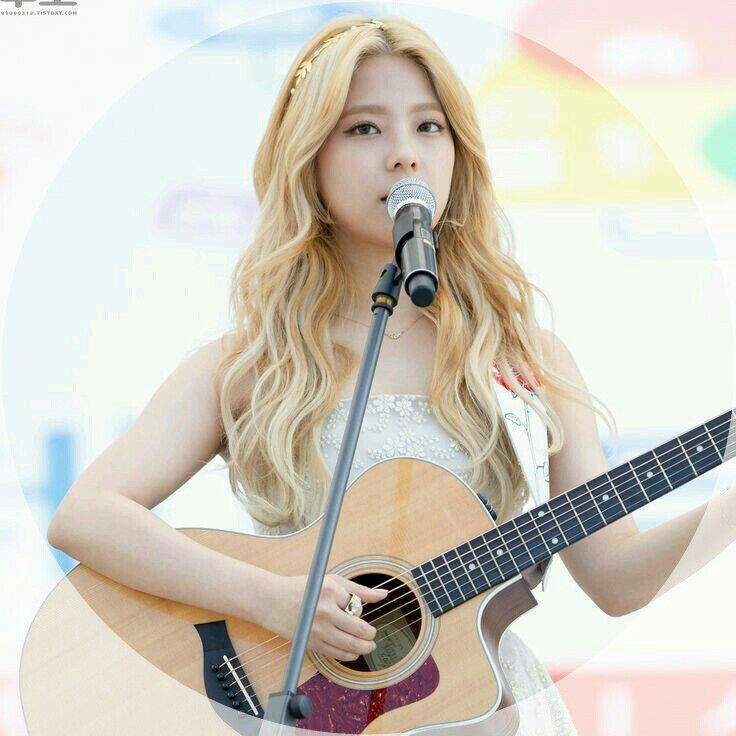 – Juniel’s favorite food: Sandwich and Patbingsoo (a popular shaved ice dessert). – Her favorite sandwich is the one with avocado and shrimp, sold at Buchella cafe in Sinsa-dong, Gangnam, Seoul, South Korea. – She doesn’t like alcohol and soda. – She likes watching figure skating. – She also likes to spend her time assembling gundam figurine. – She likes to read Anime manga online. – Her favorite singer is Ringo Sheena. – She has a weird habit of eating fruits without removing the peals. For example Orange and Watermelon. – She also eats chicken bones when she eats fried chicken. – She said she finds it difficult to write sad lyrics because she is a very happy person. – Singing without her guitar makes her feel awkward because she doesn’t know what to do with her hands. – She cannot swim at all now even though she won silver medal in swimming when she was in kindergarten. – Juniel is AOA‘s Choaya’s childhood friend, she recommended Choa to FNC. – She is a childhood friend of FT Island‘s Lee Jae Jin. According to Jae Jin, they practically grew up together. – She is close to almost every artist in FNC except Hongki. – She is also a friend of SHINee‘s Onew. They met when they studied in SM academy when they were trainees. – She is a close friend of SNSD‘s Sunny. – She’s a huge fan girl of SNSD‘s Taeyeon and f(x)‘s Krystal. – She is a fan of SHINee‘s Jonghyun‘s compositions. She’s hoping someday, they’ll exchange composed songs. – She likes Miura Haruma, who was her ideal type before and likes Lessang’s Gary. – She likes to know more people but not willing to be friends. – She haven’t experience her skin getting dry. How much do you like Juniel? Juniel is so talented! happy you added this profile!!!! Thanks a lot for the suggestions and for the additional info! We credited you in the post! I don’t get it. Juniel is so close to hongki. Hongki is really like her, because she is his female version in FNC ent, she is a straight person. He also kiss her in FNC Kingdom 2015. I really surprised when hongki do that to someone, except close friend. you’ve tagged her agency as FNC, not C9. Although you might as well not tag it altogether until she signs to a new agency because it’s rumored she won’t resign to C9.